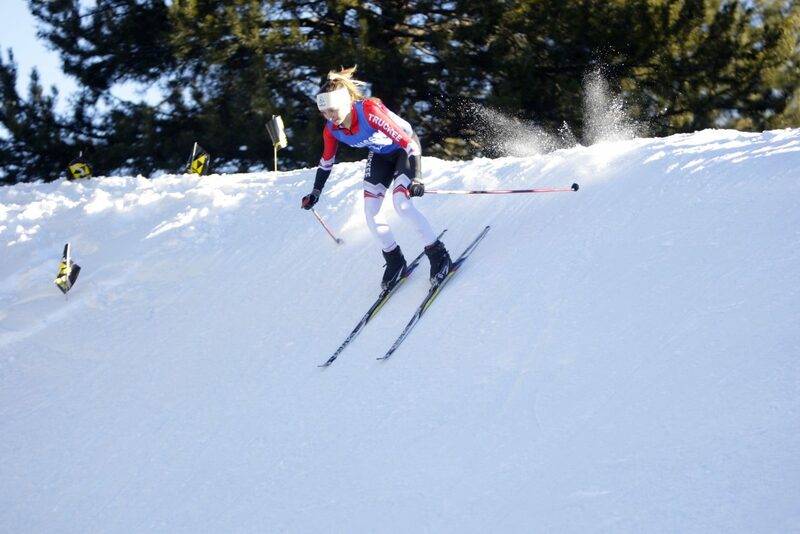 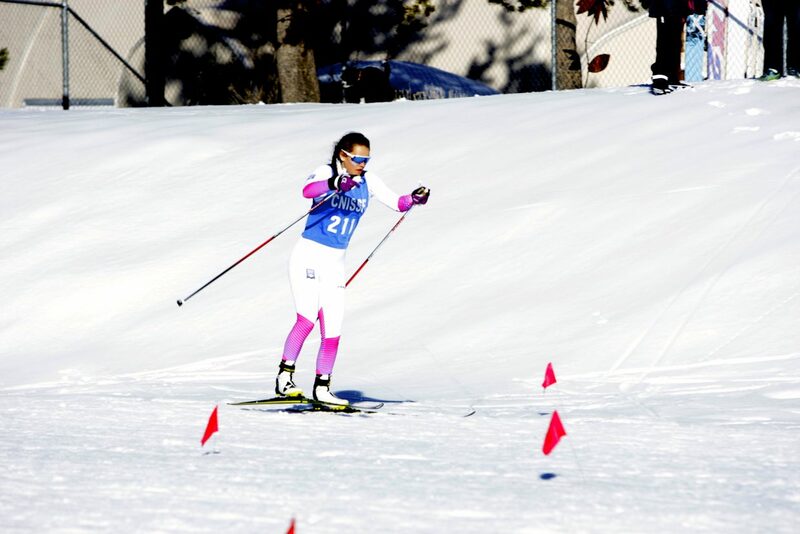 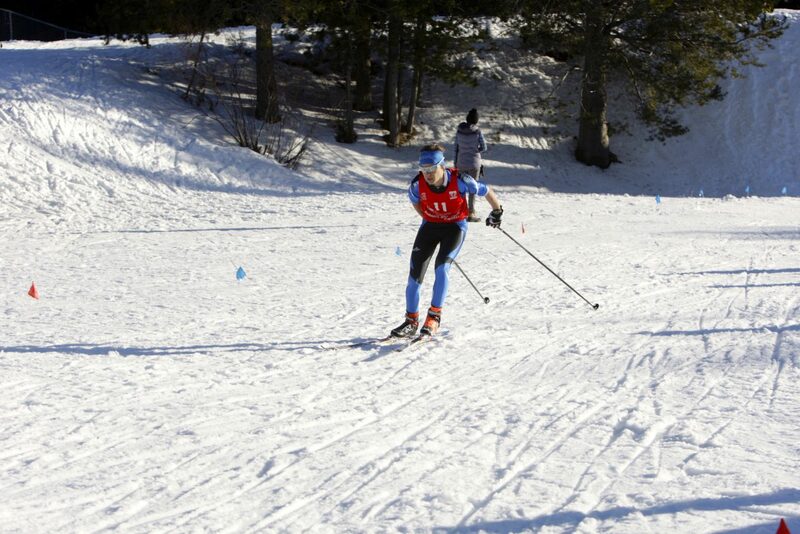 North Tahoe sophomore Alani Powell races to a first-place finish at the Truckee Sprints on Friday. 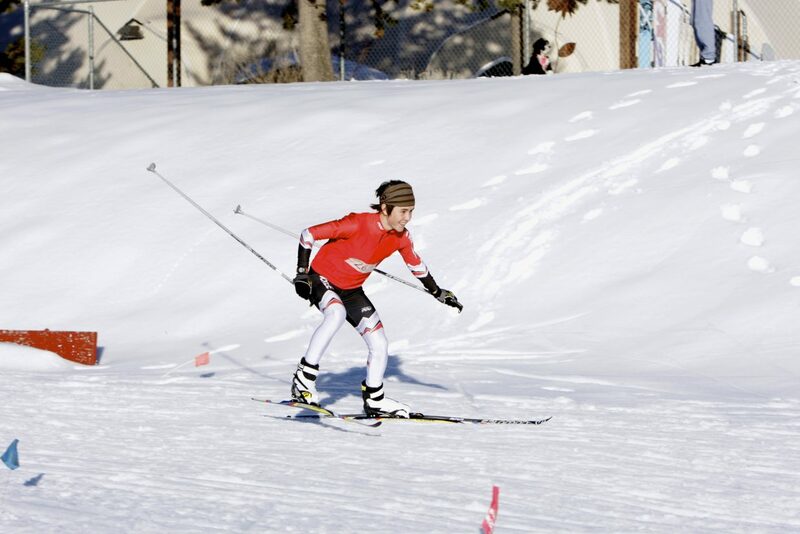 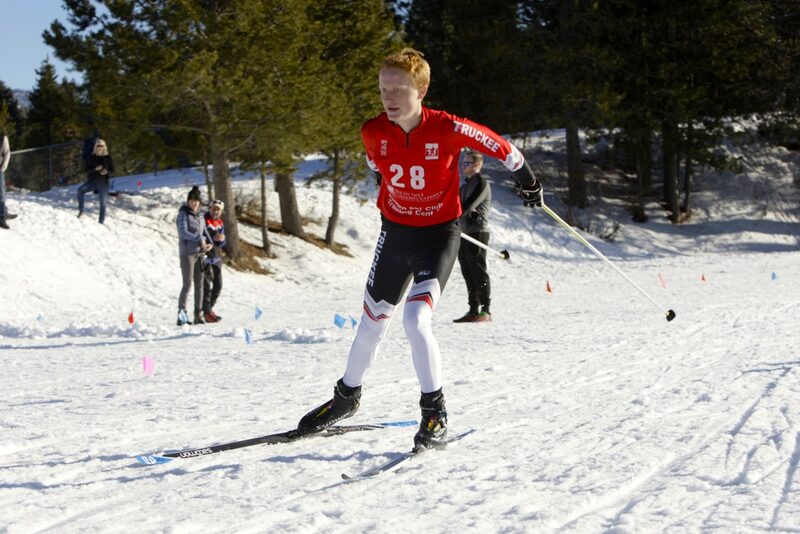 Sugar Bowl Academy senior Nate Cutler races to a win at the Truckee Sprints on Friday. 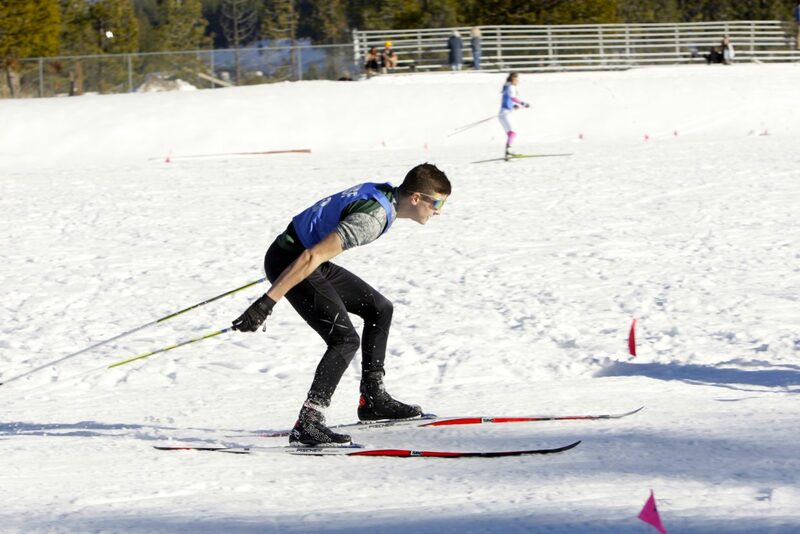 Surprise Stadium was transformed into a Nordic playground last Friday, bringing high school and middle school skiers to the home of the Wolverines for the annual Truckee Sprints. 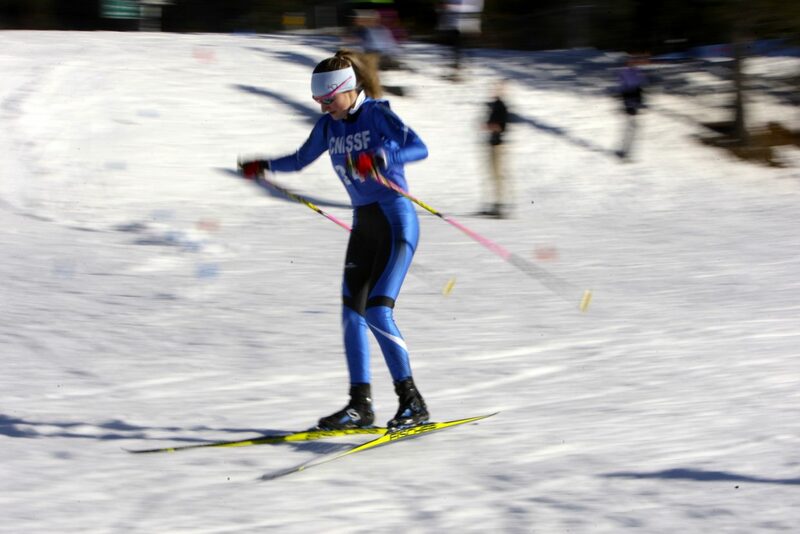 The layout of the course for the freestyle sprints made for a unique and challenging format. 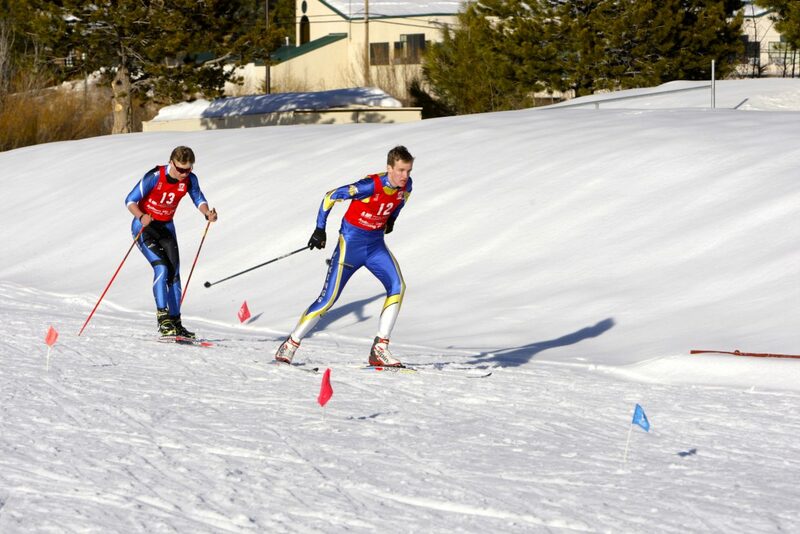 Racers started on the home sideline, and followed it around the north end zone, before cutting up the hill along the east side of the stadium. 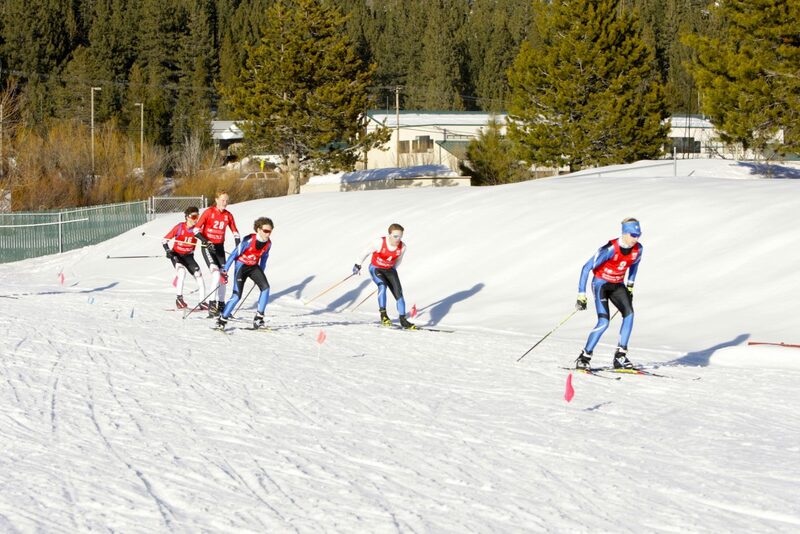 The skiers then dropped onto the adjacent field for a lap, before returning to the southern end of Surprise Stadium. 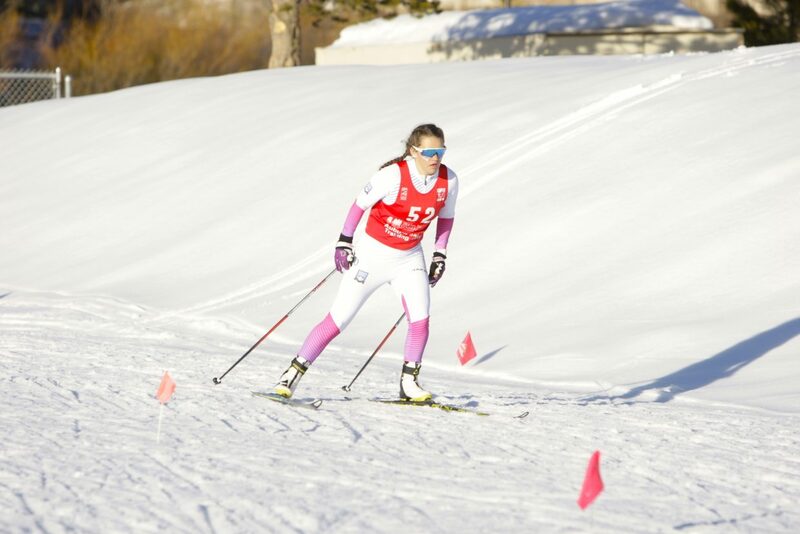 The ensuing drop down the hill into the end zone caused many racers problems, sending less experienced skiers crashing to the snow as they transitioned to level ground. 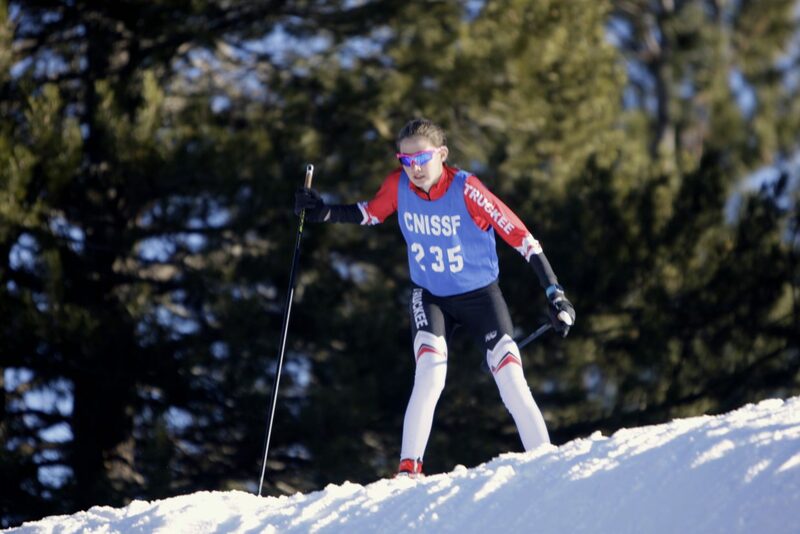 “It’s terrifying, there’s just carnage out there,” said girls’ winner, North Tahoe sophomore Alani Powell on the downhill section. 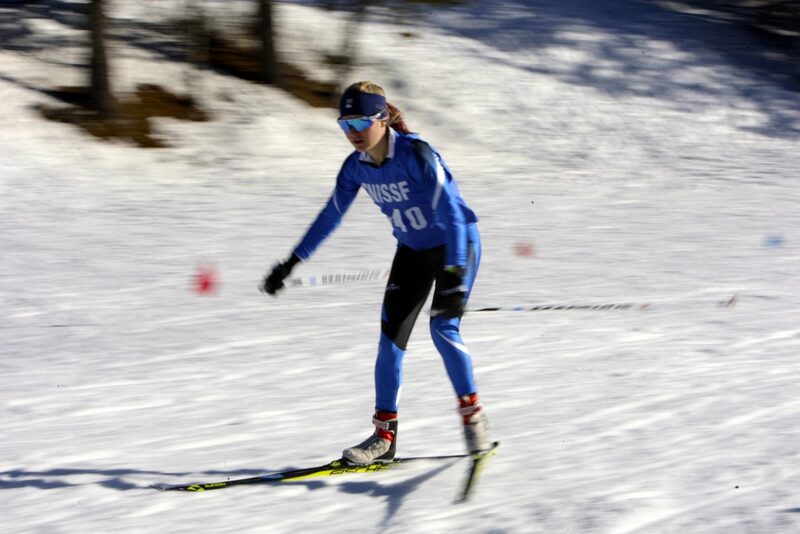 After advancing to the finals, Powell outraced fellow Lakers teammates and Sugar Bowl’s Kianna Mullings to pick up the win. 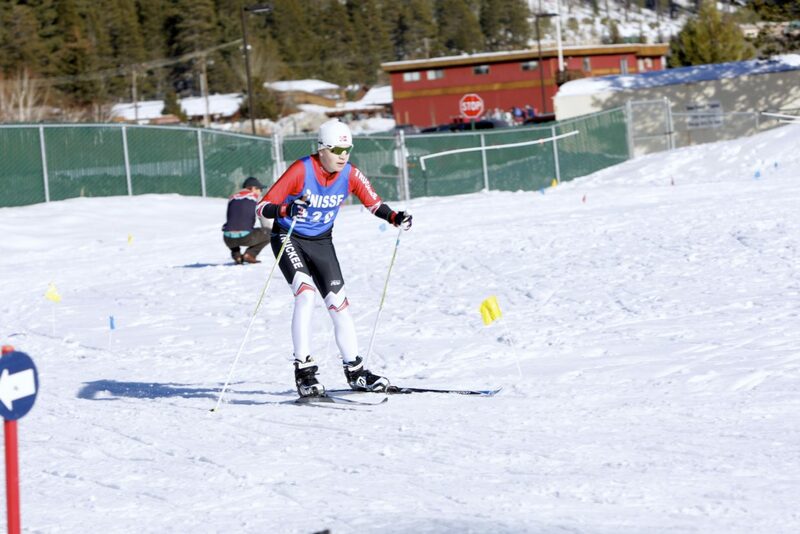 Powell was first coming down the hill back into the stadium, before powering around the final turn and home stretch to hold off Mullings for the win. 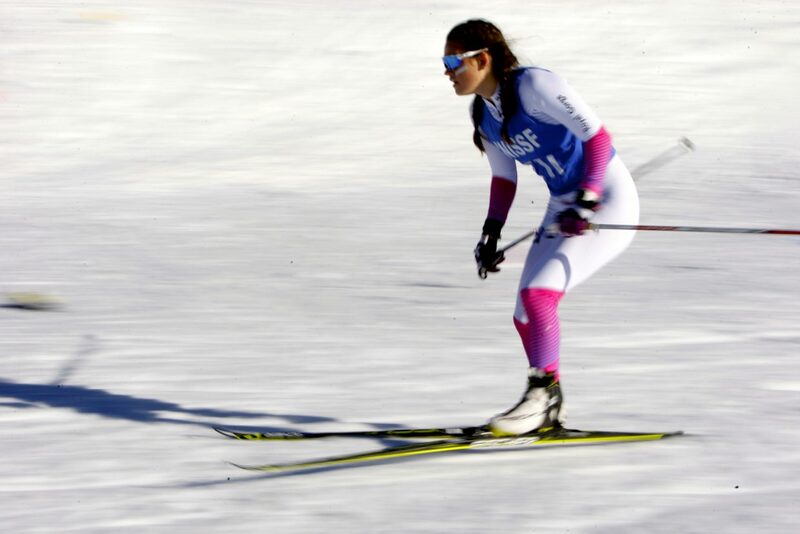 “I focused on going really hard at the top on the downhill, just because you can really get a lot of speed off it if you do it right,” she said. 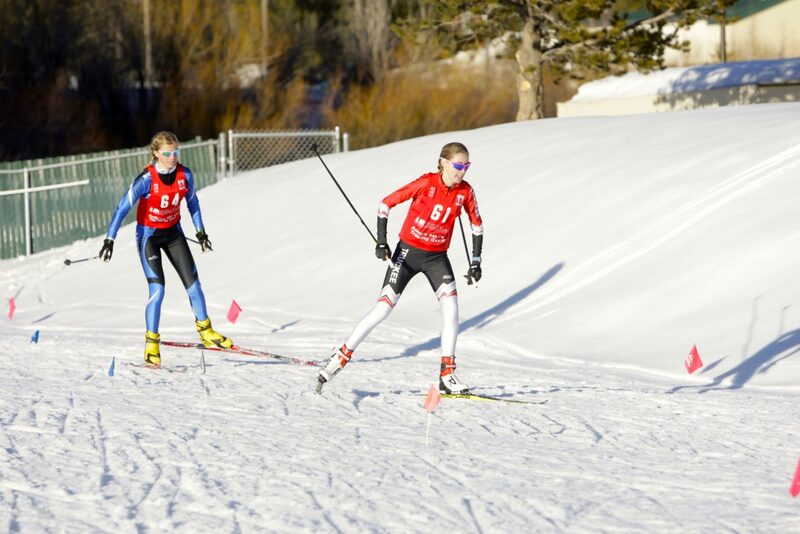 North Tahoe’s Lily Murnane was third, followed by teammate Kili Lehmkuhl. 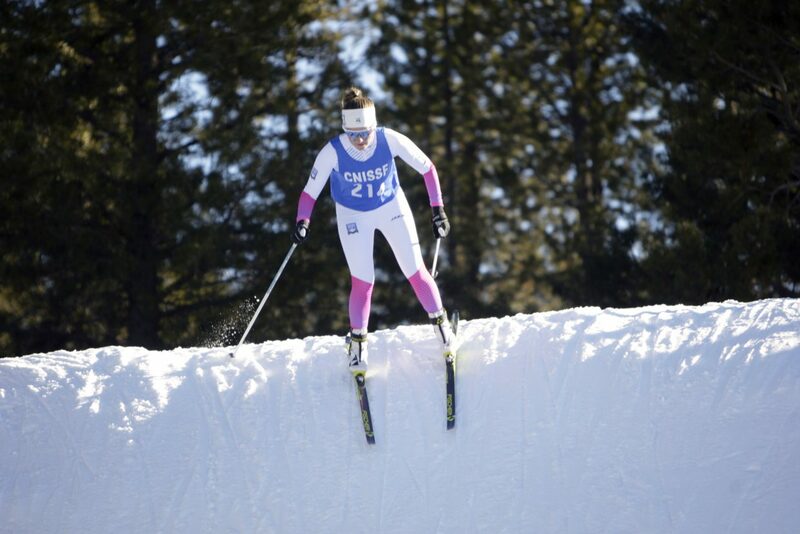 Sugar Bowl’s Sami Samuels was fifth, followed by Truckee’s Caitlin Smith to round out the finals. 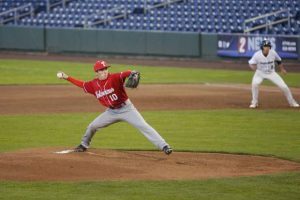 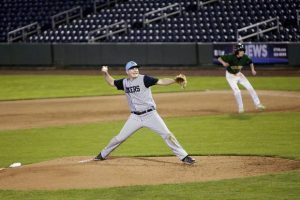 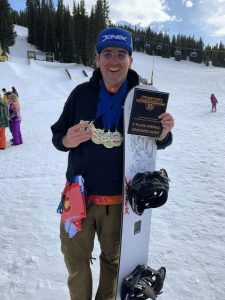 Sugar Bowl Academy senior Nate Cutler couldn’t be caught on Friday, easily advancing through the quarterfinal and semifinal rounds, before taking the victory in the finals. 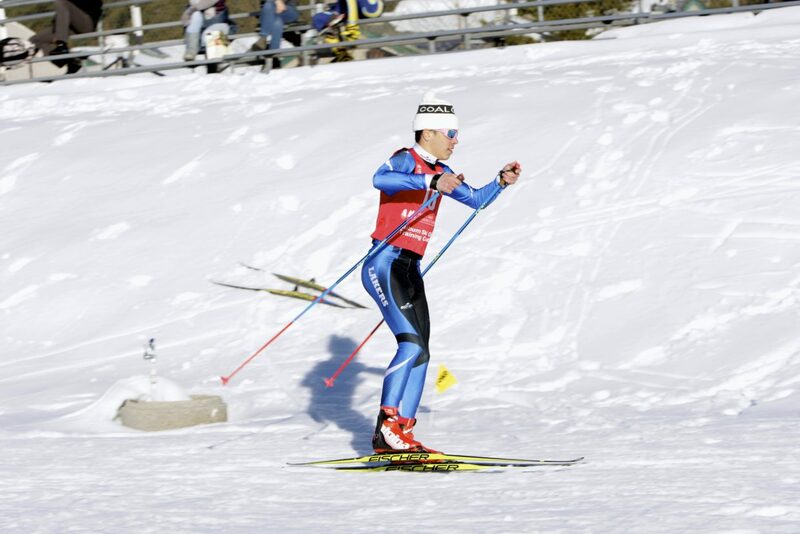 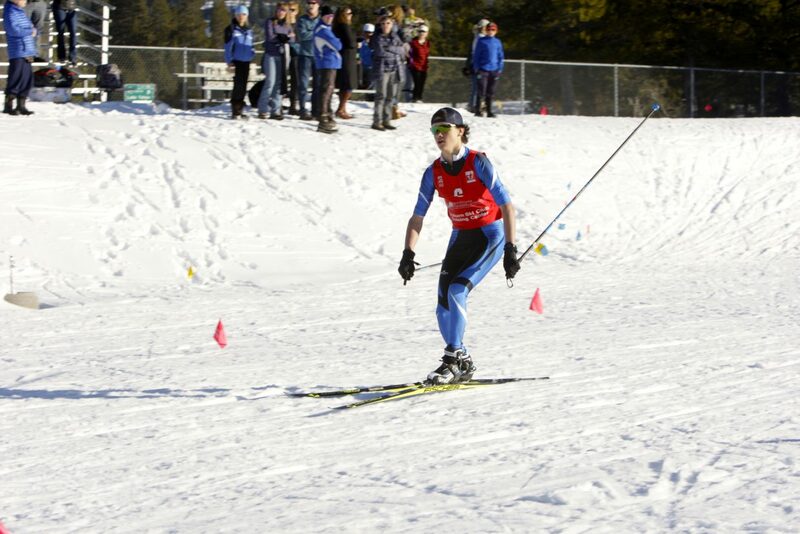 Cutler scorched the course during the final heat, cutting the corner off sharply above the south end zone before zipping down the hill to build a lead of several seconds over the five other skiers as he rounded the final turn. 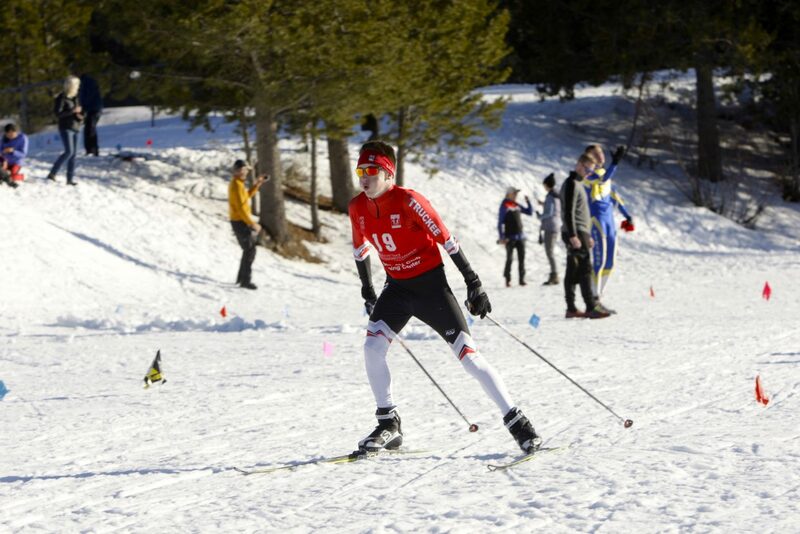 North Tahoe’s Cooper Anderson finished in second, leading a pack of Lakers across the finish line. 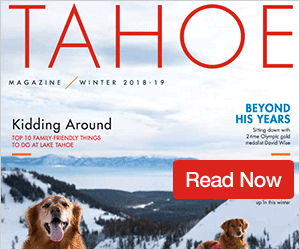 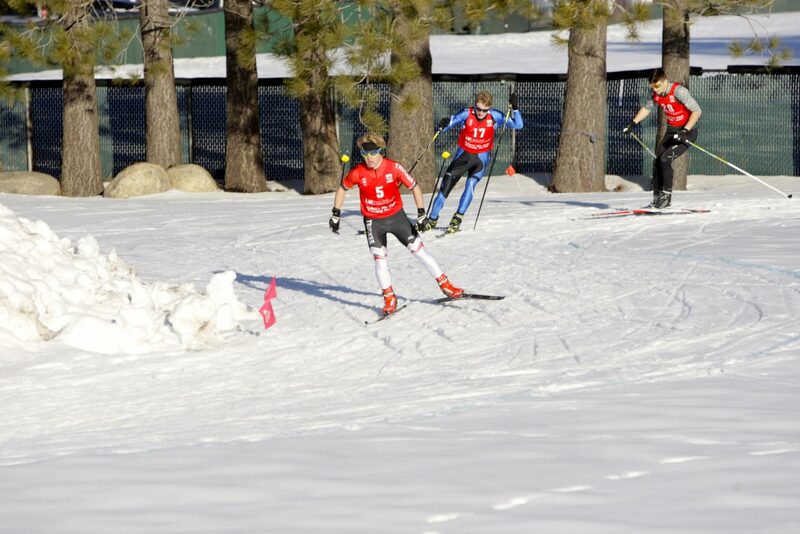 Teammates Phoenix Sanchez, Nikolas Burkhart, and Max Roske gave North Tahoe four racers in the top five. 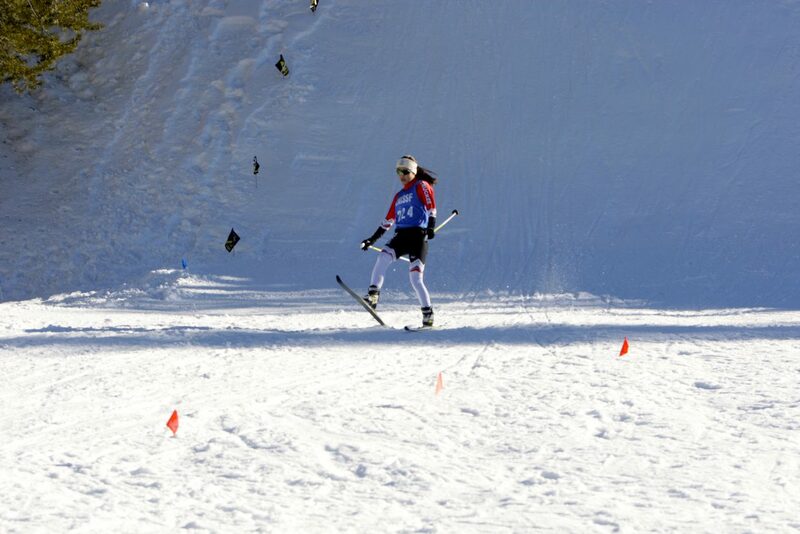 Mammoth’s Jared Mahler was sixth. 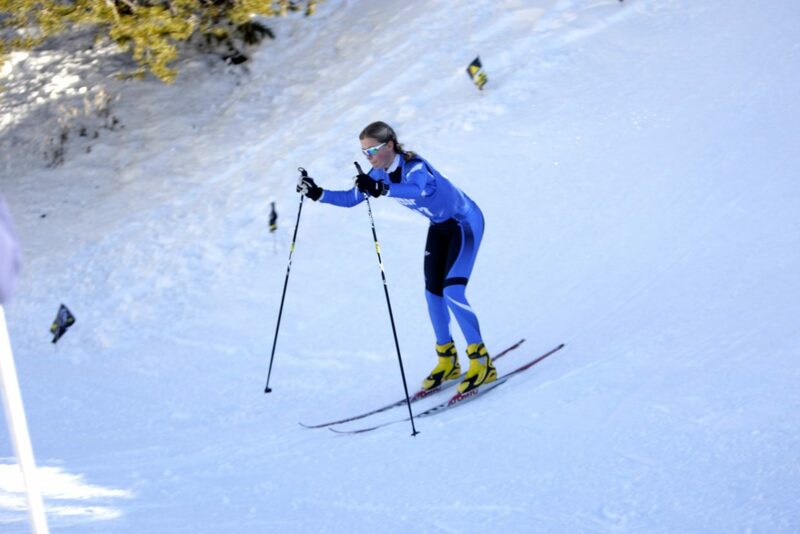 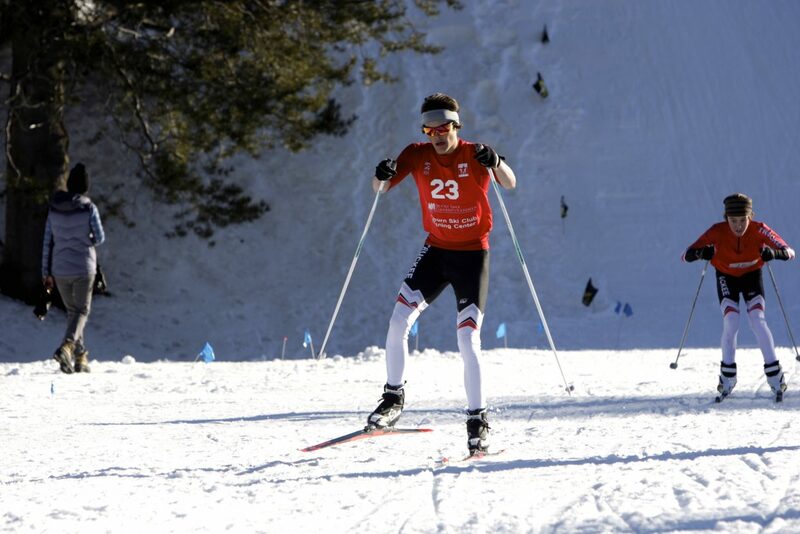 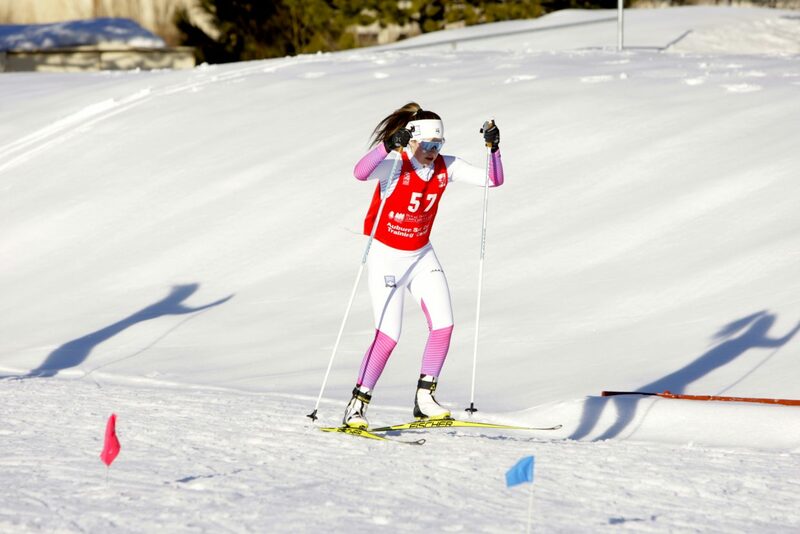 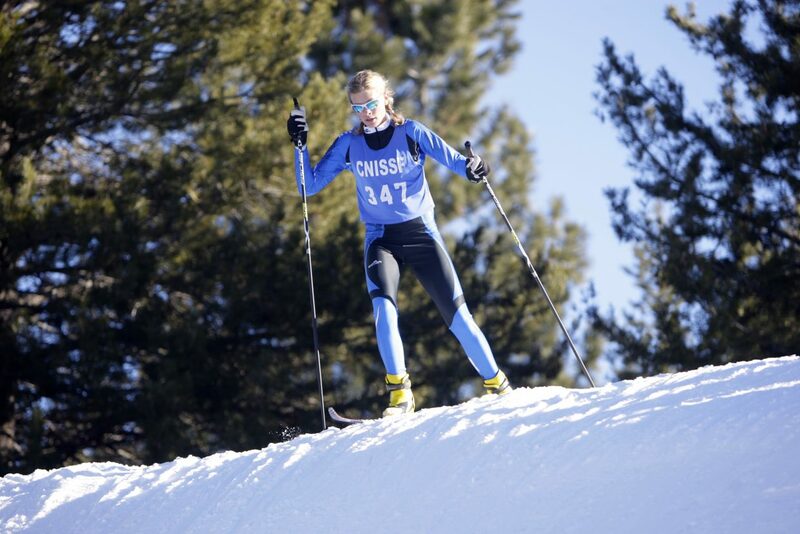 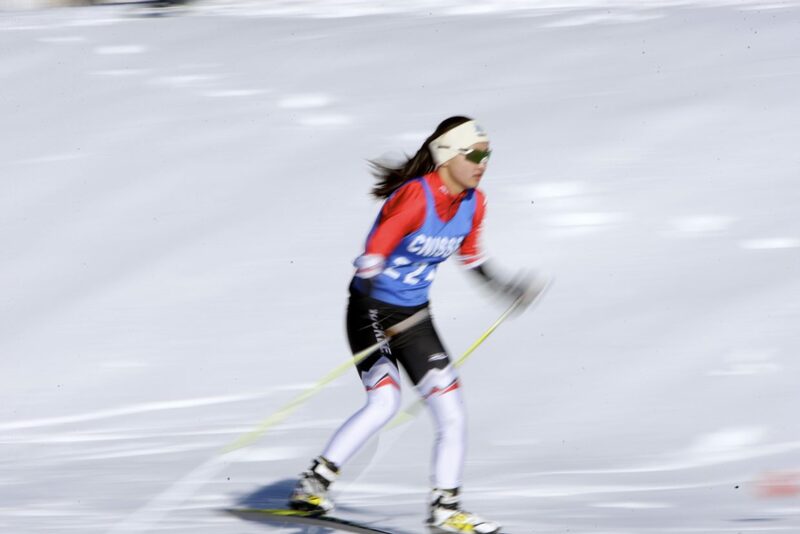 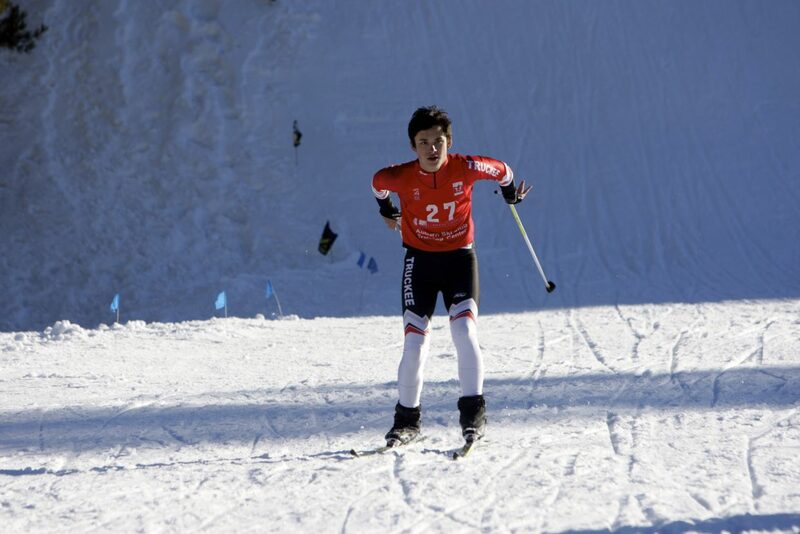 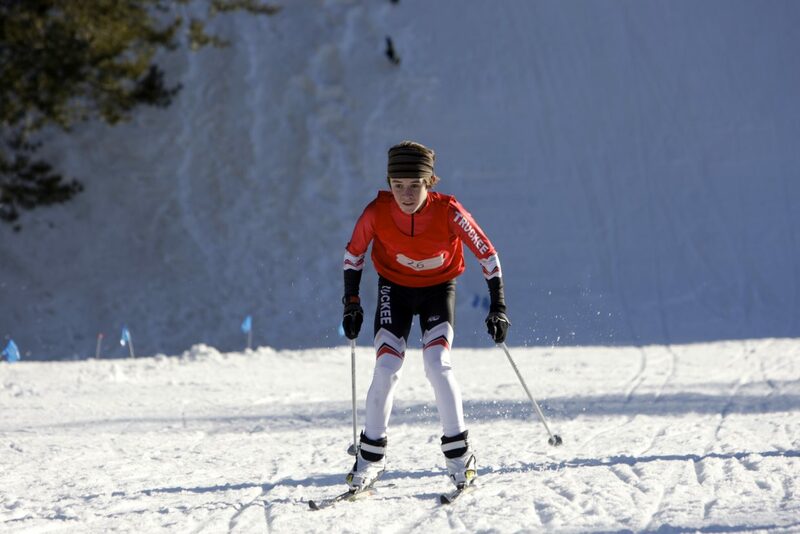 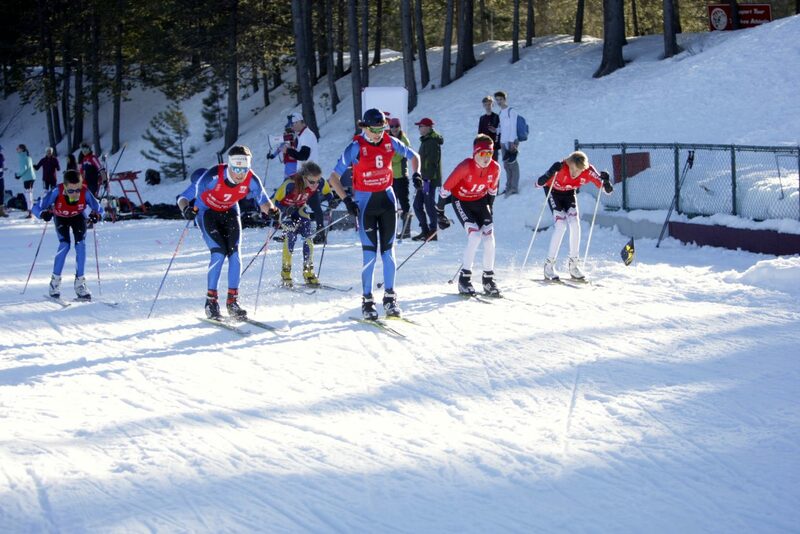 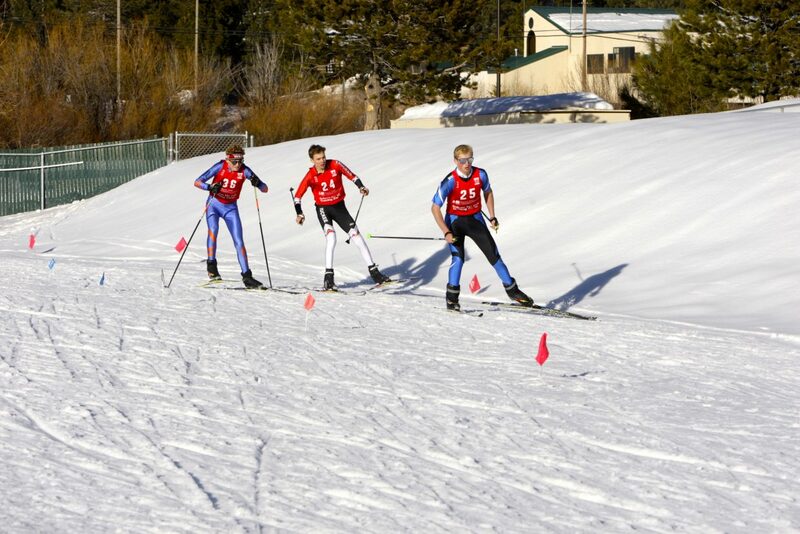 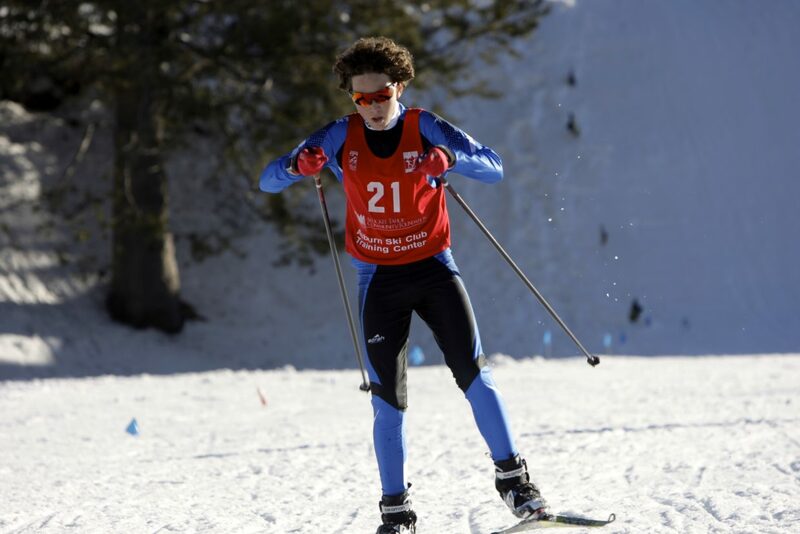 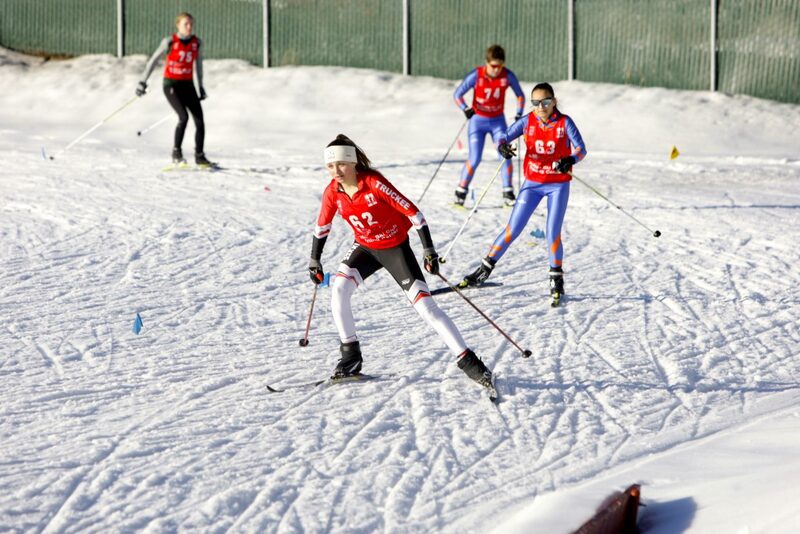 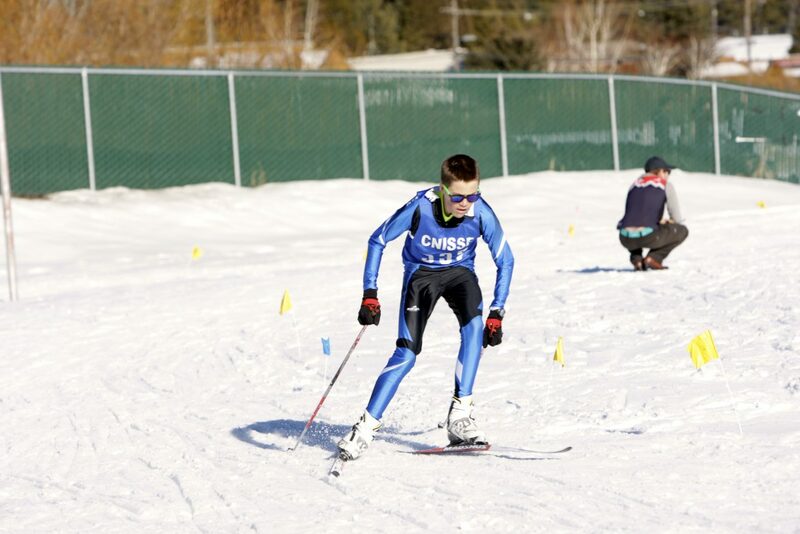 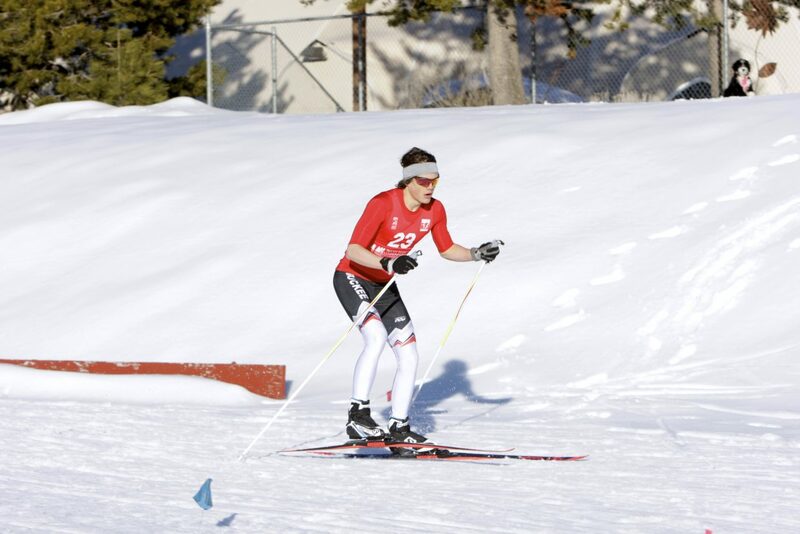 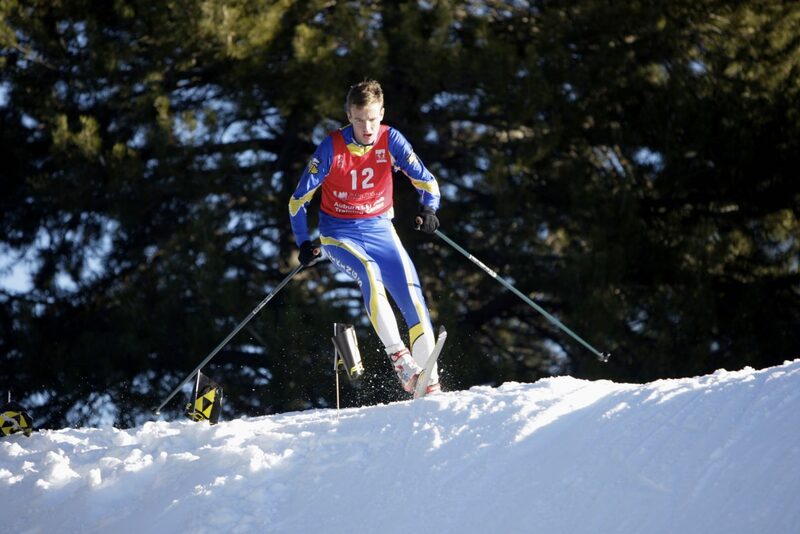 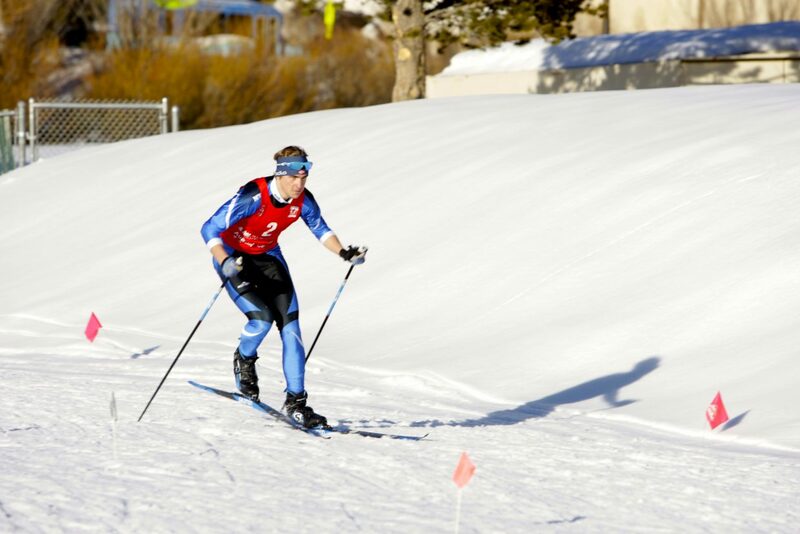 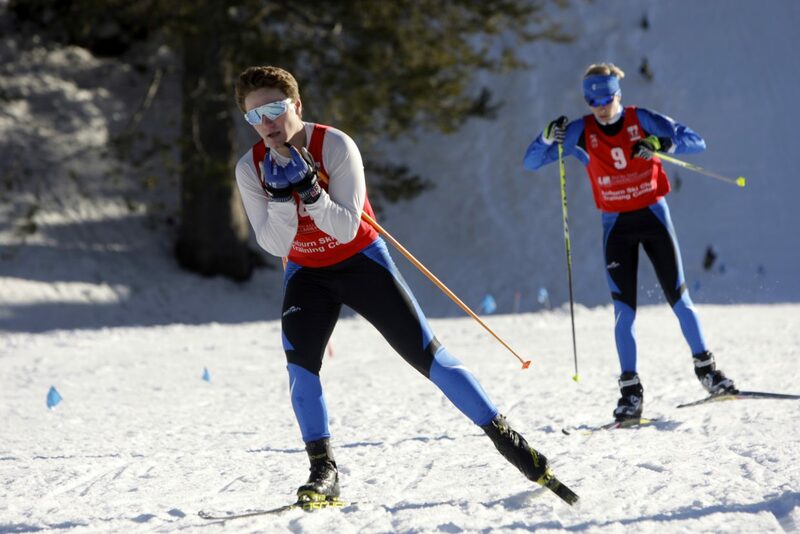 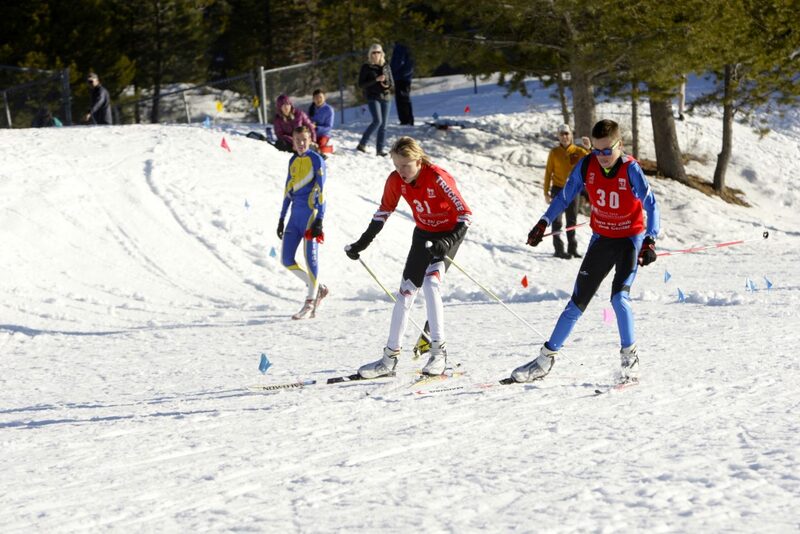 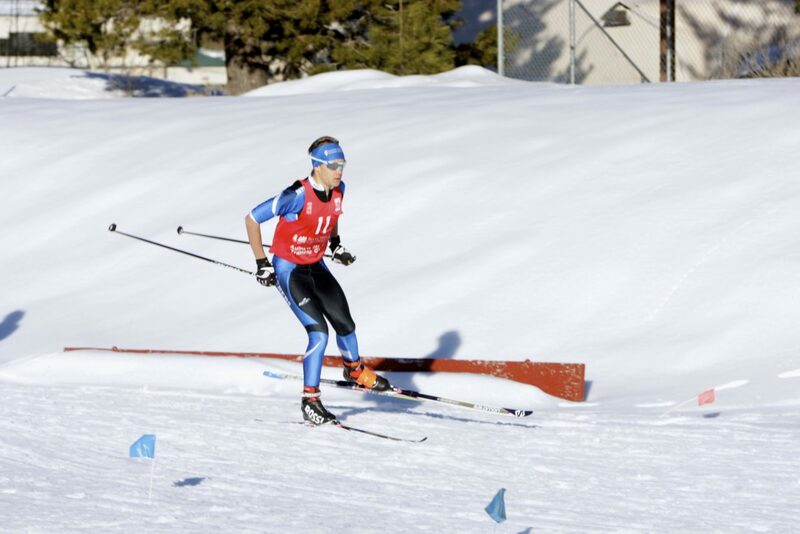 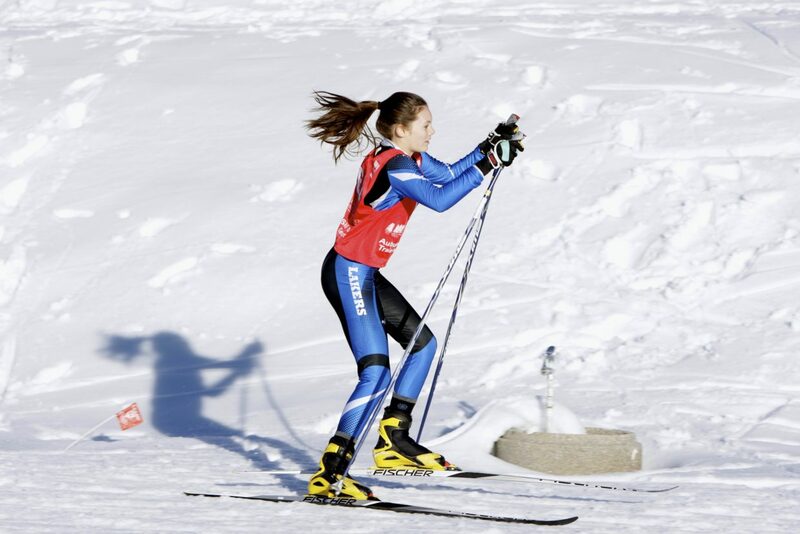 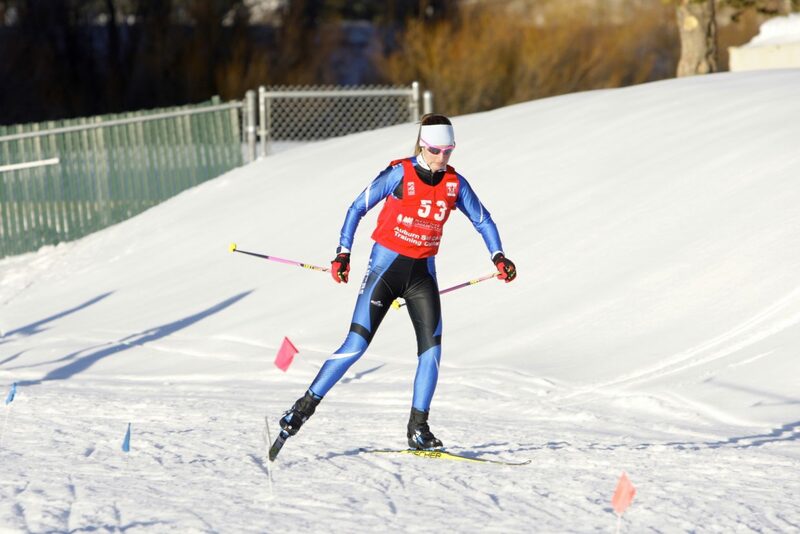 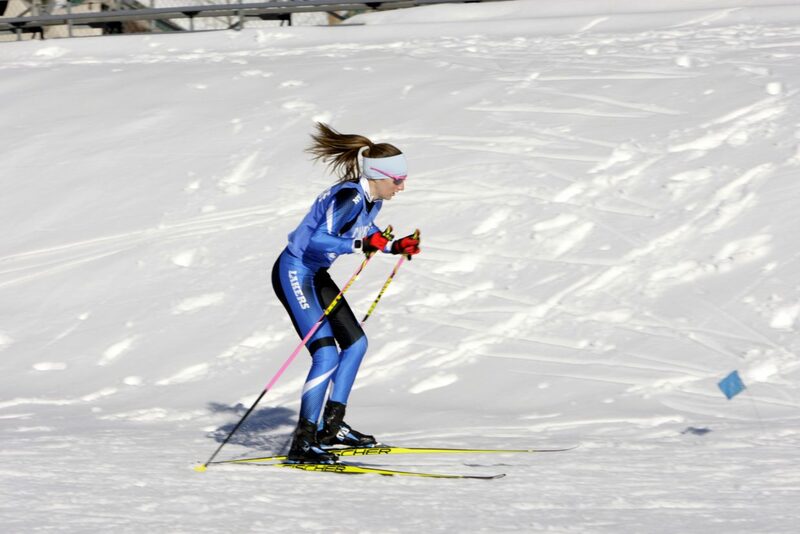 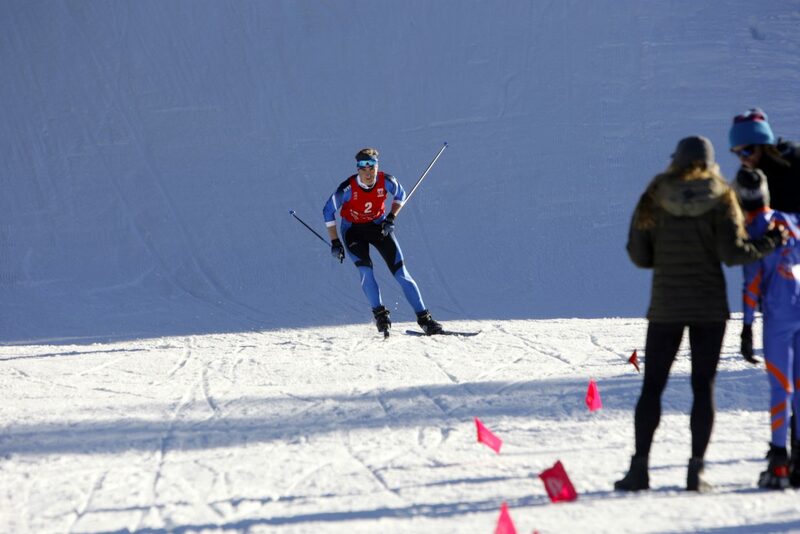 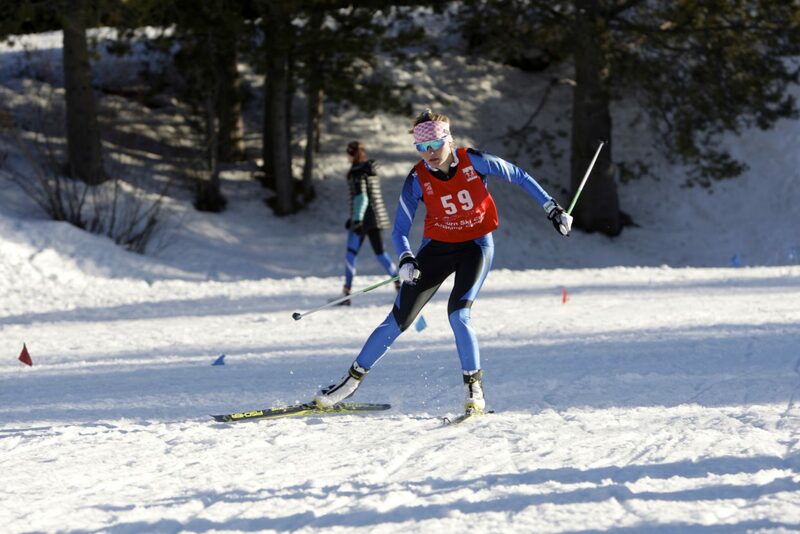 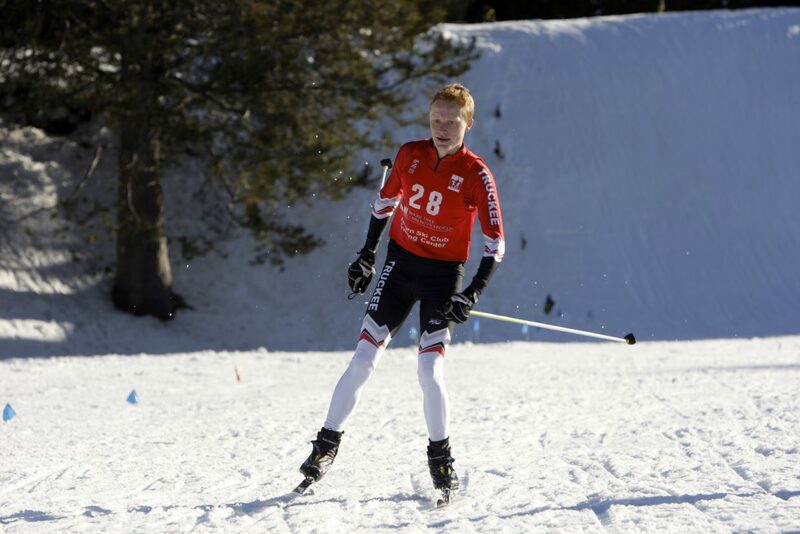 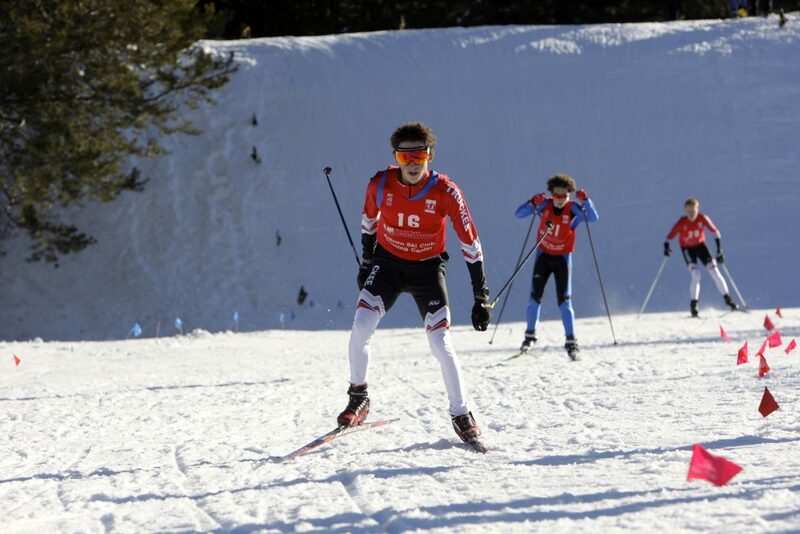 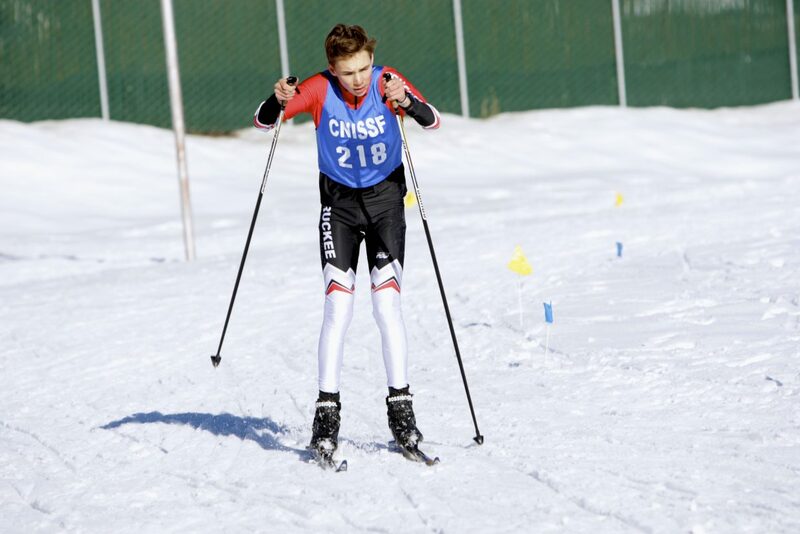 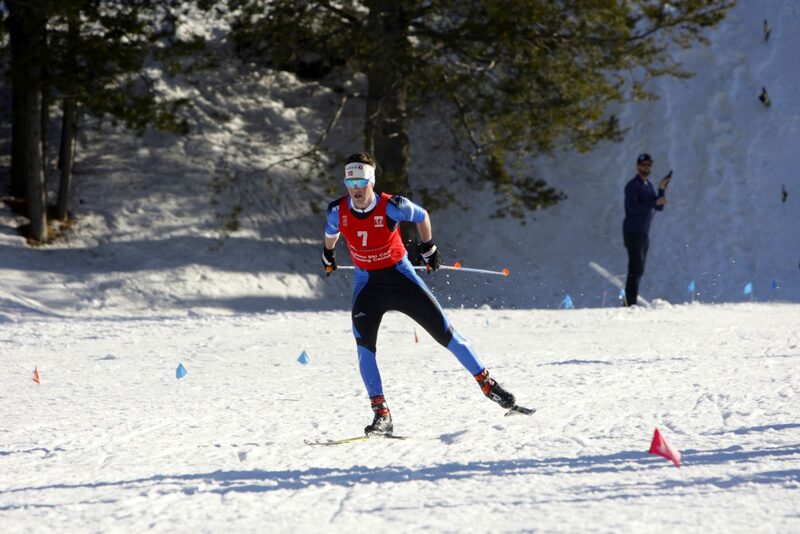 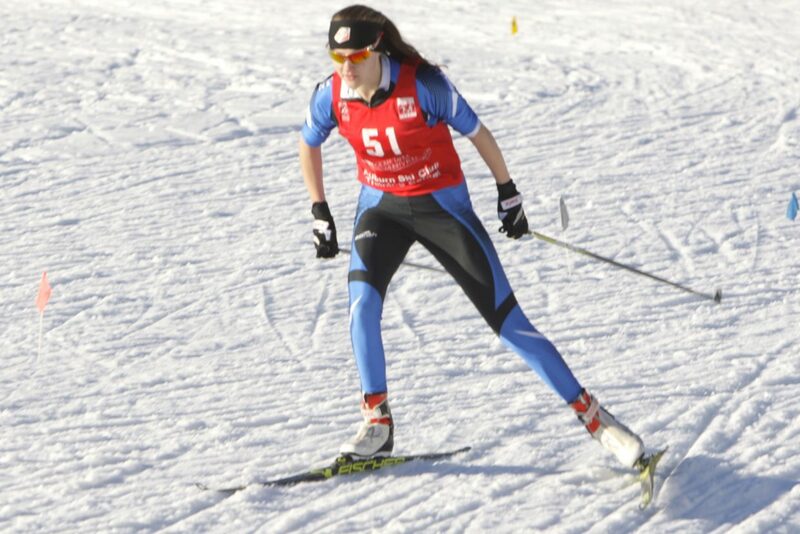 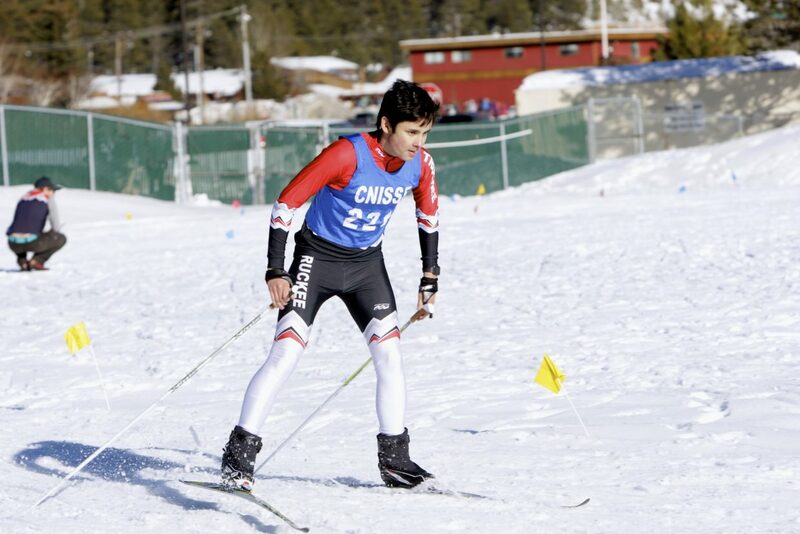 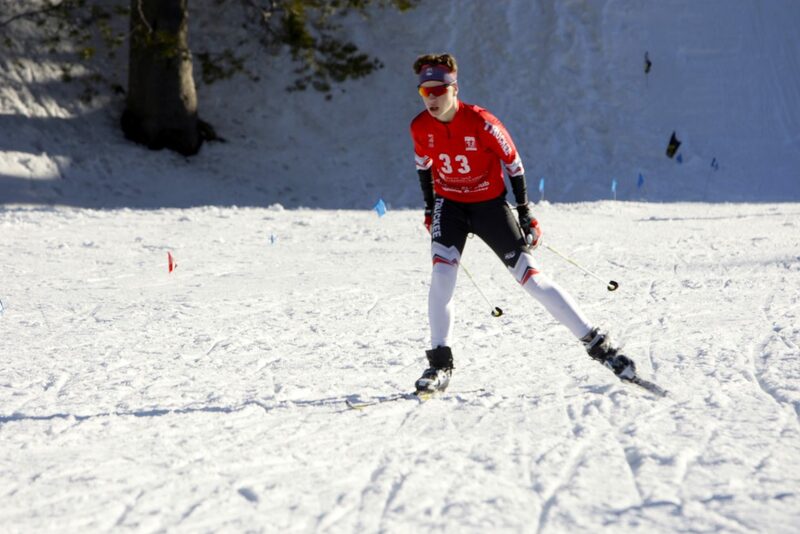 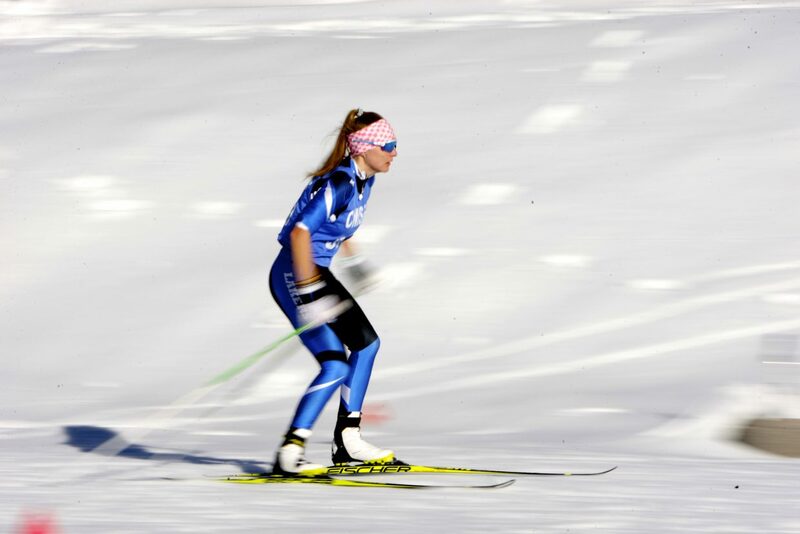 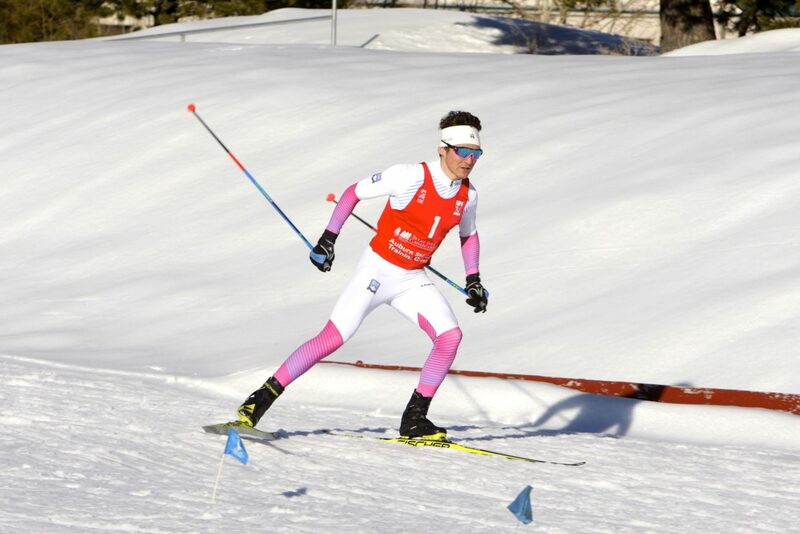 The next round of high school Nordic racing is scheduled for Friday, Feb. 1 at Mammoth.